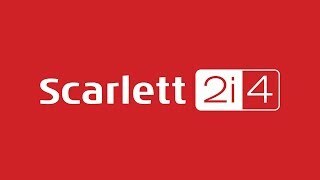 The Ins and Outs you need With Scarlett 2i4 your recordings will sound just how you want them. Two combination inputs with natural-sounding Scarlett mic preamps, line level inputs and newly-designed instrument inputs let you record anything you want. The four analogue outputs and MIDI I/O make the Scarlett 2i4 ideal for the modern music producer using outboard synths or performing live. Use the 1/4 inch balanced jack outputs to connect to professional studio monitors, or the four RCA outputs to connect to a home speaker system or DJ mixer.